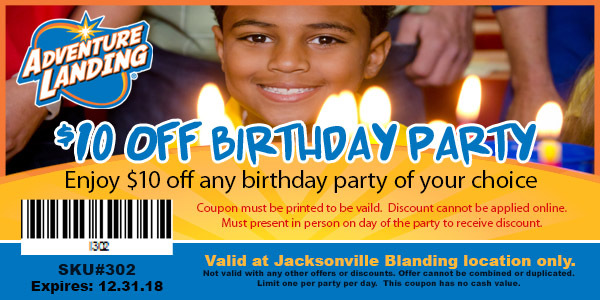 Get $10 Off Any Birthday Party Package. You can order extra pizzas for only $12.99 each. Choose any single attraction: Go-Karts, Laser Tag, or Miniature Golf for $3.99/ea. *Visa and Mastercard accepted. No personal checks. *There is a non-refundable $50.00 deposit for each party. *Reservations are required and 72 hours is preferred. *Minimum of 8 paid people per party.